Tosh Lanquist specializes in Residential Homes, Farms, Ranches, and Recreational Real Estate in Idaho. After traveling through the United States, Tosh Lanquist made the "Gem State" his home. Now he enjoys helping others find their dream homes and properties in this great place. Tosh is an experienced Realtor who is passionate about providing exceptional service and making sure his clients are well informed throughout the home buying process. Tosh takes pride in the fact that many of his former clients are now his dear friends. 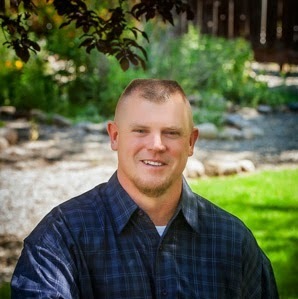 When not selling real estate, you can find Tosh volunteering his time coaching youth sports, helping a non-profit Veteran organization, or enjoying the outdoors of beautiful North Idaho. As an agent who's an expert in this local area, Tosh brings a wealth of knowledge and expertise about buying and selling real estate here. It's not the same everywhere, so you need someone you can trust for up-to-date information. When it's time to move, you need someone who will advertise your property, show to prospective buyers, negotiate the purchase contract, arrange financing, oversee the inspections, handle all necessary paperwork and supervise the closing. Tosh can take care of everything you need, from start to close. Oftentimes buyers don't visualize living in your home the way you do. Tosh can make your property attractive to its ideal audience - which can help you get top dollar. Things like staging the home, making repairs or minor improvements, or even simply painting the walls can be the difference between a home resting on the market and one that's sold fast. "I have owned 3 different homes and worked with 7 different realtors in my life. Tosh is by far the best one that I've come across. There are a couple things that set Tosh apart from all the others I have worked with: 1. He goes out of his way to find the right home. He physically previewed some houses before I showed up to make sure the house met my requirements. 2. He answers my inquiries quickly. I know that if I call Tosh, if he doesn't pickup I'll hear back from him the same day. And 3, He knows his stuff and looked out for my best interest. There was a house that I wanted to buy that had a few problems. Before I put an offer in, Tosh made sure to get an inspector's opinion about a crack in the foundation, he then pulled the well report, and pulled out the plot map to make sure I understood what I could be getting into. The house ended up being more hassle than it was worth. It was a good thing I had Tosh as the house could have been a money pit. " "I can’t say enough good things about Tosh. He has the utmost integrity and honestly cares about you as a person and your transaction. I happen to be a lender, so I am in this industry and work with many different realtors. There are many good realtors but it should tell you volumes that I picked Tosh to list my house. Tosh is always accessible – you can call or text and he always gets back to you as soon as possible. I’ve worked with agents before that tried to push the closing date early so they could get their commission check – you will never feel that way working with Tosh. Tosh surrounds himself with professionals that understand the types of properties and clients he specializes in. I knew through the entire process Tosh did everything possible to sell my home as quickly as possible – even sending direct emails to certain realtors to advertise my house specifically." "Tosh is not your typical Real Estate agent, he is the down to Earth family oriented man. He is willing to make sure you and family are taken care of first. Many of the real estate agents we had prior were unhelpful, and wouldn't listen to our needs. Tosh had listened to what we wanted, and went above to find our perfect home." "Very quick to return calls, and answer any questions i have, closed in 45 days,i highly recommend tosh for your real estate needs.stayed in close contact with loan and title company and myself"
"Each time a question was asked, he gave clear answers & if he didn’t have an immediate answer he was very promp on getting back after getting the answer." "Tosh Lanquist is an exceptional agent. We were several states away and had to do everything remotely, but his expertise, patience and professionalism made it smooth sailing. If you are looking for property, we highly recommend Tosh Lanquist." "It has been a Great pleasure to work with Tosh. He is very knowledgeable in all aspects of real estate. He made the process a happy one. I would recommend him for all your RE needs." "Great working with Tosh. He was a great help with moving the process along and resolving any issues as they occurred. It was our first time buying a house and we weren’t quite sure what to expect. Real happy with the way Tosh helped manage the entire process from start to finish. Definitely recommend him if you are looking at property in the northern Idaho region." "Tosh was absolutely fantastic. He kept in constant contact with us and truly listened to what we were looking for, making adjustments to the properties he showed us as often as he needed to. He is very personable and has a large network of like-minded realtors and other real estate related professionals. I've already recommended him to friends and family multiple times. If you're looking for a selling agent, Tosh consistently closed multiple properties a week and we saw one near our old home that sold within a week of being listed by him. " "Tosh is a go to realtor for CDA property. He knows the area and cares about the client's best interests. I can't overstate how responsive he is with phone calls and handling transaction details. He is very professional without being stuffy about it." "We bought some property in Blanchard ID from out of state and Tosh was very professional, very thorough. He always made sure we knew all of the options or restrictions about the properties we were looking at. His expertise is impeccable,and we feel like we made a new friend in the process." "Tosh has been magnificent through the entire home purchase process. He is reliable and a very personable individual. He was able to find exactly what we were looking for quickly and efficiently. My family is grateful for the time and effort put in by this individual." "Upon first contact with Tosh we felt confident that what we wanted in a home would be found. Tosh listened to our requirements and didn't waste our time with things we wouldn't be interested in. He is professional, kind and knowledgeable of the area. Our home buying experience with Tosh exceeded our expectations and both my husband I can recommend Tosh with total confidence and sincerity." "Not enough stars for rating! Tosh stuck with us through the whole process and never gave up. We highly recommend him!!" "Great Realtor! Tosh knows his business. Seek out Tosh for your next land purchase!" "Tosh at Land and Wildlife is the best realtor I've worked with. He was able to accommodate even my nitpicky idea of what we wanted in a house and land and he steered us to the perfect house within those guidelines. I only wish I had listened to his suggestion earlier in the search and gotten the house sooner." "Tosh Lanquist is an honest & funny realtor who can help you find your dream property in North Idaho. No city slicker realtor here... Tosh definitely doesn't drive a Prius!" "Tosh is an extraordinaire agent. He helped me to help my son purchase his home last year in Spirit Lake. Tosh stayed with us through the whole process and beyond. This is one very caring person and an excellent agent."